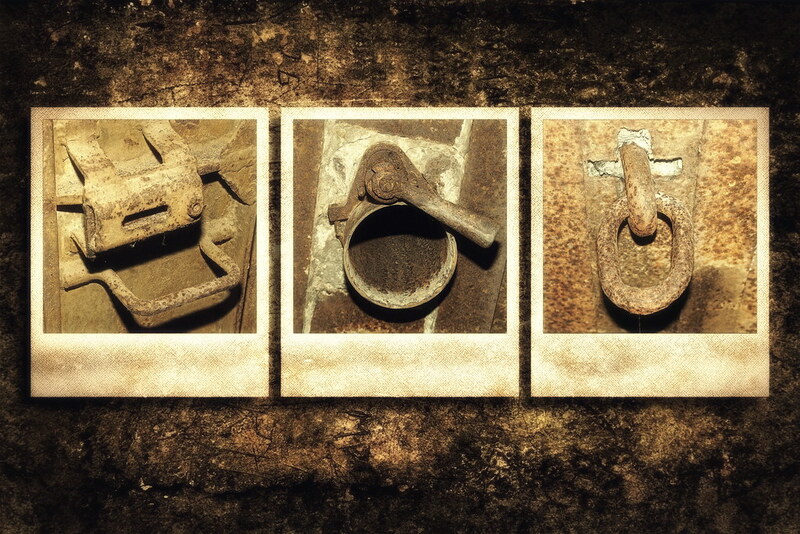 A small triptych featuring various rusty elements from pillboxes of the Molotov Line. Solid hook mounted in the ceiling of an artillery casemate. They were two of them – another was fixed to the wall opposite the loophole. They were used, along with metal ropes, to lift heavy gun elements in case they required replacement or servicing.